Various articles following the fate of the arches designed by Lachie Munro at Cessnock Underground Station on the Glasgow Subway. 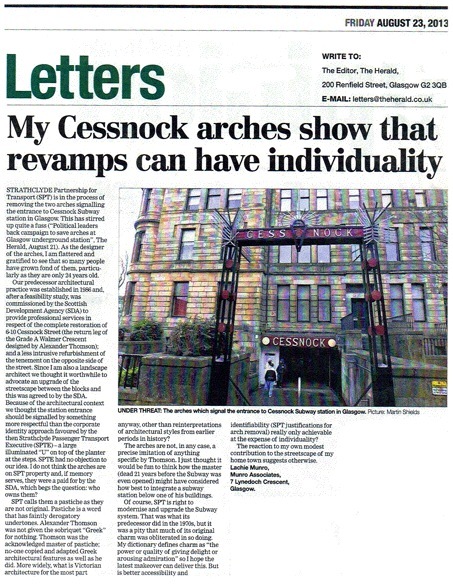 The cuttings follow the successful campaign by Avril Williamson, a local resident and admirer of the arches, to have them reinstated following their removal by Strathclyde Passenger Transport. 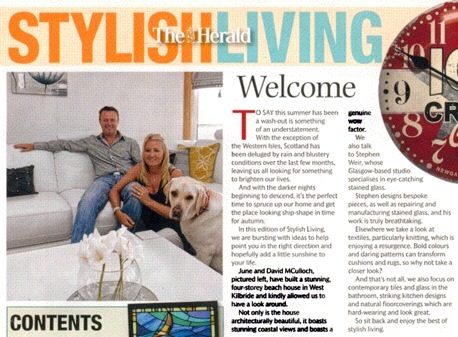 Beverley Brown interviews June and David McCulloch about their new home beside the sea in West Kilbride for The Glasgow Herald supplement Stylish Living. The house was designed by Munro Associates and built by RDK Construction. 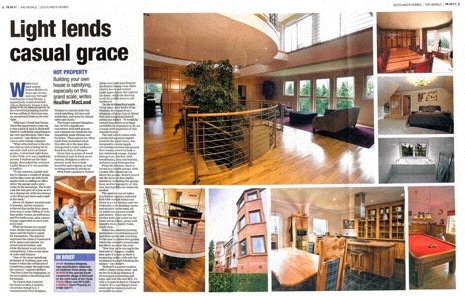 Heather MacLeod interviews Mr. Skillen about his home on the banks of the River Clyde in Bothwell for The Glasgow Herald supplement Scotland's Homes. This house along with the house on the neigbouring plot were designed by Munro Associates.